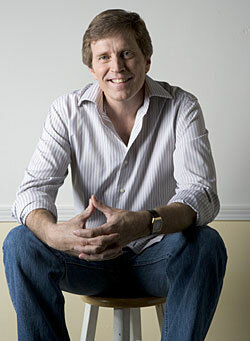 Clinic Synopsis: With the help of the Berkner High School Band, composer Frank Ticheli, will reveal secrets and strategies that will enhance performances of not only his own works for concert band, but also works by other composers. He will share personal thoughts about orchestration, conducting, interpretation, and risk taking. He will also highlight specific examples of how Ticheli, the conductor, illuminates Ticheli, the composer. Clinician Biographical Information Frank Ticheli is in his 21st year as professor of composition at the University of Southern California's Thornton School of Music. From 1991 to 1998, he was composer in residence of the Pacific Symphony. His orchestral works have been performed by the orchestras of Philadelphia, Atlanta, Detroit, Dallas, Stuttgart, Frankfurt, Saarbruecken, Hong Kong, and many others in the US and abroad. Ticheli is well known for his concert band works. In addition to composing, he has appeared as guest conductor in cities throughout the world, including Beijing and Shanghai, London and Manchester, Singapore, Rome, Sydney, throughout Japan and in New York at Carnegie Hall. Awards include the 2006 NBA/William D. Revelli Memorial Band Composition Contest for his Symphony No. 2, the Charles Ives and the Goddard Lieberson Awards, both from the American Academy of Arts and Letters, and many others.